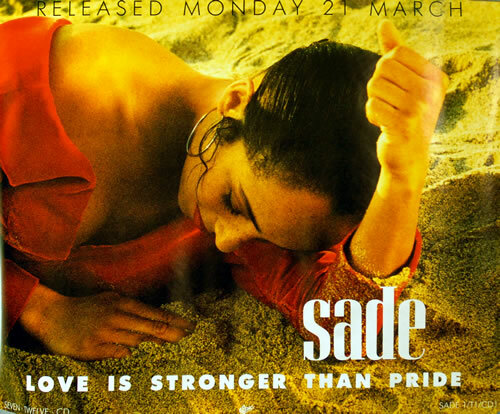 SADE Love Is Stronger Than Pride (Genuine and original 1988 Epic UK promotional only instore display poster. Measuring 25" wide by 20" deep, this example was supplied to stores with a sticky strip top and bottom for ease of display. Whilst ithasnt been used and remains free of any pinholes, sellotape, rips or tears, over the last 27 years the sticky strip has lost its stick. No matter whatsoever, it's a fabulour poster for a beautiful classic 80s album that is well worthy of framingand display).